Dr. Suzanne Holroyd has been named chairman of the department of psychiatry and behavioral medicine at the Marshall University Joan C. Edwards School of Medicine. Holroyd joins Marshall from the University of Virginia (UVA) School of Medicine where she served as vice chair for education in the department of psychiatry and neurobehavioral science, among several other administrative appointments and academic positions. "Dr. Holroyd is a fantastic addition to our institution, "said Dr. Joseph I. Shapiro, dean of the School of Medicine. "We performed a national search which identified a number of excellent candidates, but she was, hands down, the first choice of everyone who came in contact with her during the interview process. I am optimistic that Dr. Holroyd will help us expand the educational and care capabilities we already have in the department and over time, truly impact the care that we can deliver in this region. We are looking forward to her expert leadership as we forge new ground in this critically important area of health care." As chairman, Holroyd will be responsible for administrative functions on both the clinical and academic operations of the department including development of a graduate medical education program in psychiatry. "I am thrilled to be joining the Marshall department of psychiatry," Holroyd said. "We have just submitted our application for an accredited psychiatry residency training program, with plans to add fellowship training in geriatric psychiatry and child and adolescent psychiatry in the future. We will be collaborating with many of the community psychiatric facilities to provide superb training and I look forward to working with everyone to provide state-of-the-art psychiatric care." Holroyd earned her medical degree from the University of Virginia and completed a residency in psychiatry and a clinical research fellowship in geriatric psychiatry at Johns Hopkins University School of Medicine. Following her residency, she served as an assistant professor at Johns Hopkins. She joined the University of Virginia in 1992, first as an assistant professor and rising to the rank of professor in 2004. She served there until late last year, when she accepted the position at Marshall. Clinically, she specializes in psychiatric disorders in the elderly, including those with dementia or memory loss disorders. Holroyd has been honored by Castle Connolly, Ltd. as one of America's Top Doctors every year since 2004 and directed UVA's division of geriatric psychiatry. In additional to her clinical practice, Holroyd is a busy researcher and published author in the field of psychiatry. Her current research interests include psychiatric disorders in the elderly while being treated in various facilities, visual hallucinations in late life disorders including Alzheimer's disease and Parkinson's disease, and well as late-life depression. She has authored or co-authored dozens of peer-reviewed articles. 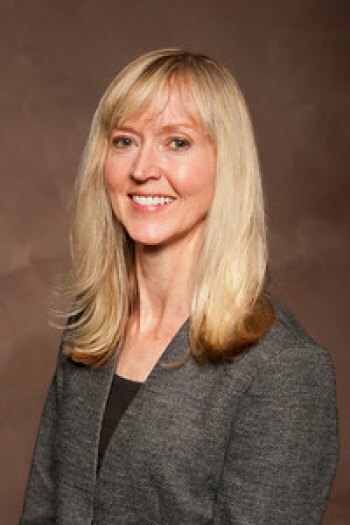 Holroyd is the second female physician to lead Marshall's department of psychiatry and behavior medicine. Dr. Mildred Mitchell Bateman served as the inaugural chair of the department from 1977 to 1982. Holroyd officially joined the School of Medicine Jan. 1.